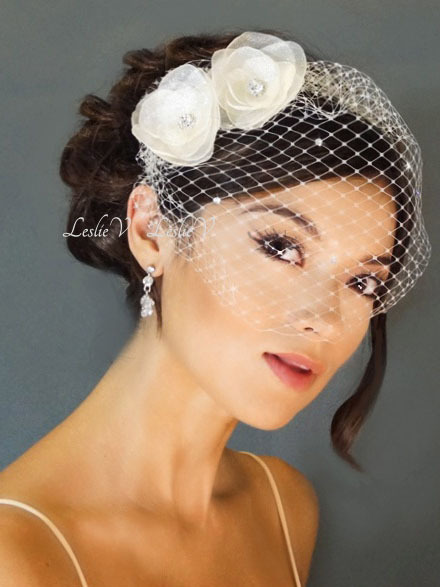 2 Crystal Organza Flower Hair clips & Petite Birdcage Veil. Birdcage veil has Austrian Rhinestones, approximately 8 inches long x 12 inches wide, French Veiling, attached to small metal comb. 2 Flower fascinator hair clips, approximately 3 inches with crystal center accent. Slide in hair clip on back. 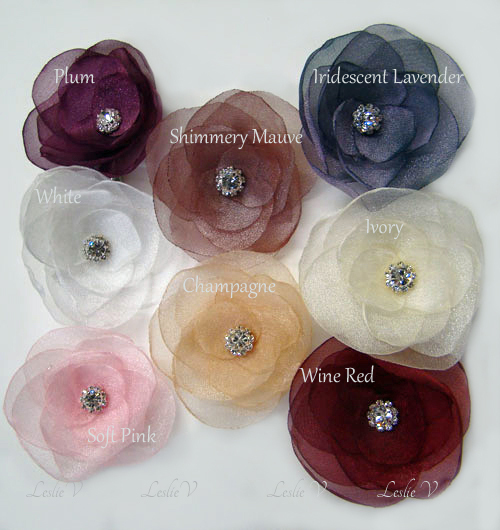 Each flower clip is detachable from veil. Choose 2 of the same color flowers or mix and match for personalized styling.